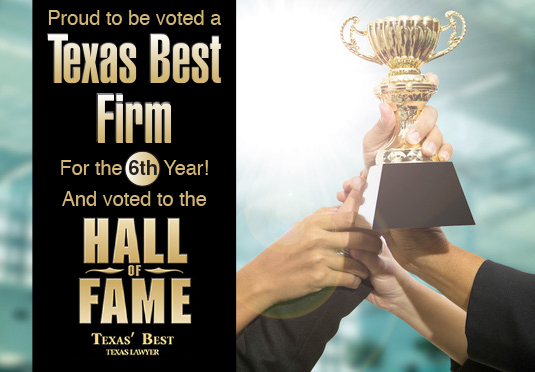 Nov 07, 2017 – HOUSTON – ROBINYOUNG & COMPANY, INC. earned spots for the sixth consecutive year in the Texas Lawyer 2017 Texas’ Best Of edition as one of Texas’ Top Rated Structured Settlement Firms, which recognizes Texas service experts and specialists by associates’, clients’, and peer-reviewed rankings. This year, ROBINYOUNG & COMPANY is also honored for the third consecutive year in Texas Lawyer 2017 Texas Hall of Fame. Texas Lawyer’s business department’s annual “Best Of” is a poll where lawyers cast their votes for the best providers of products and services to the Texas legal community. The ballot consists of 40+ categories encompassing legal support, business, education, legal products and services. RobinYoung & Company, INC. (RYC), founded by Robin Lynne Young, CSSC, in 1996, is an independent brokerage firm specializing in structured settlements and funding agreements. The firm is dedicated to the plaintiff and plaintiff’s family, personal injury attorney and their legal team, offering injury victims a unique brand of personal attention and financial assistance at a critical juncture on their road to recovery. Young is among the first 100 industry professionals in the nation to earn the prestigious Certified Structured Settlement Consultant (CSSC) designation from the National Structured Settlement Trade Association through the University of Notre Dame. Young returned this fall, as one of only 26 out of 950 industry professionals nationwide to be accepted and approved in the inaugural Masters Certificate in the Structured Settlement Consulting (MSSC) certificate program. With a team-player attitude and personal approach, RYC coordinates and assists plaintiff attorneys, mediators, trust attorneys, government attorneys, attorney ad litems, guardian ad litems and judges with a deep understanding and expertise of the process of resolving legal financial claims through a financial or insurance arrangement, including periodic payments.